Sometimes it just pays to ask. As you read on Wednesday, I attended a special dinner to preview the new Spring Menu for Carolina Crossroads Restaurant and Bar. The Forbes Four-star-ranked restaurant, under the leadership of Executive Chef Jimmy Reale, is located inside the beautiful, charming, and historic Carolina Inn in Chapel Hill, North Carolina. My husband and I loved every dish Chef Reale put in front of us. 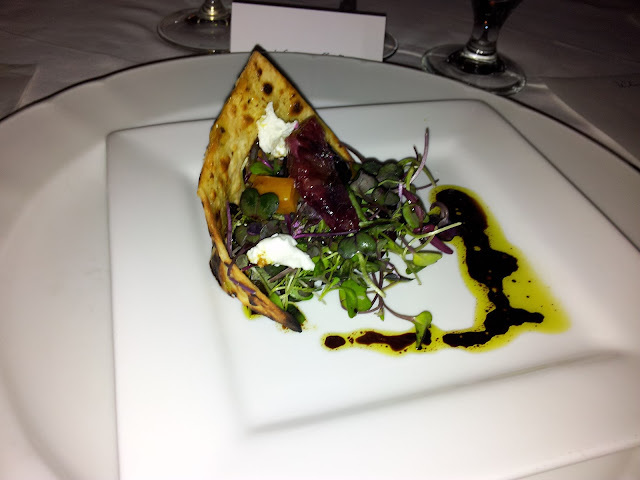 I am especially fond of beets, so I was particularly excited to see a roasted beet salad on the menu. If I see beets on a fine dining menu, you can pretty much bet that I will order them because I rarely do anything with the root vegetable at home. Will is not really a fan of beets, or at least that is what he thought until he tasted Chef Reale’s Roasted Beet Salad, which is currently being offered as an appetizer on the spring menu. I think that is apparent with his roasted beet salad recipe, which he is so kindly sharing with us today. 1. Place thyme in two separate small pans and place the red beets in one and yellow beets in the other. Drizzle the beets with a tablespoon of extra virgin olive oil and salt& pepper. Roast in a 325 degree oven for 25-30 minutes or until tender. Once they have cooled off, remove the skins and cut into pieces being sure to keep red and yellow beets separate. 2. Cut the lavash into four pieces, soak in extra virgin olive oil then remove as much oil as possible. Place lavash on grill and cook until crisp on both sides. 4. Place basil and oil in a blender and puree for 2 minutes. Pour through a fine mesh strainer. 1. In a large bowl mix the micro greens, beets and blood oranges with two tablespoons of broken vinaigrette and salt & pepper to taste. Be sure to stir the broken vinaigrette with a spoon before putting on the salad. 2. Divide the salad and lavash between the four plates. Top the salads with the goat cheese and drizzle the broken vinaigrette around the plate. I love the blue and white decor in the Carolina Crossroads dining room. Carolina Crossroads Restaurant has a warm and inviting atmosphere. 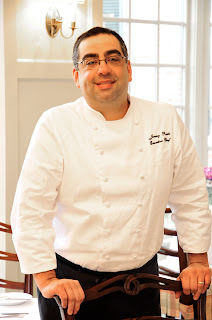 If you ever travel to the Tar Heel State, I hope you put Chef Reale and the inn on your itinerary. In the meantime, you can enjoy a little taste of The Carolina Inn at home. Flip Flops and Pearls and I invite you to link your recipes. When I think of Chapel Hill, North Carolina, I think of it as the quintessential Southern town. Delightful shops and charming bistros surround the state’s oldest public university, which just happens to be my alma mater. The University of North Carolina at Chapel Hill, founded in 1789, is the core of this Southern, North Carolina town. Certain landmarks, however, will forever be associated with this university town. One of those landmarks is The Carolina Inn. Since 1924, it has welcomed guests to stay and relax in the heart of the university campus. 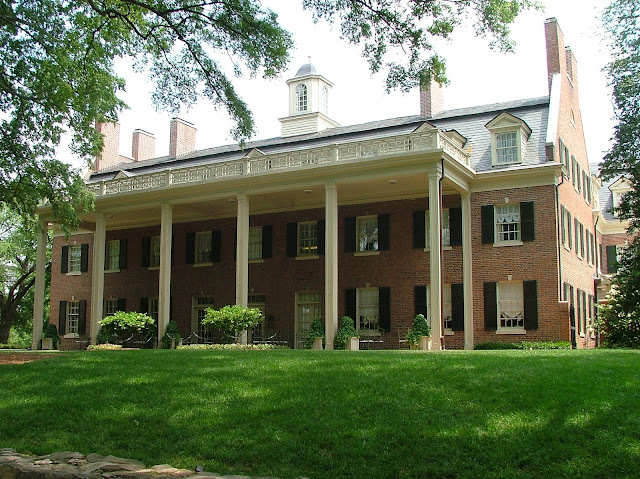 The Carolina Inn is in a great location in Chapel Hill, NC. A guest can park his car, and not get back in it until it is time to depart. 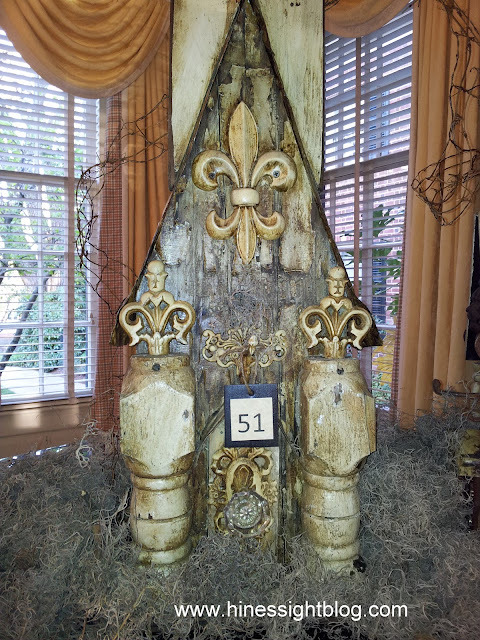 The inn is rich with Carolina history, and is the essence of Southern hospitality and comfort. 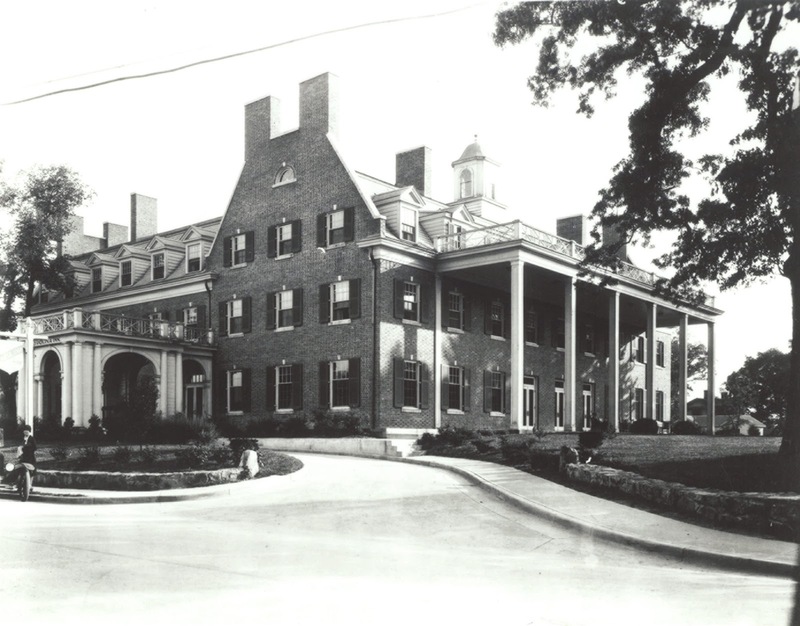 In fact, a man after my own heart, John Sprunt Hill, class of 1889, built the inn after spending the night in a rundown hotel on Franklin Street in 1921. Unable to sleep, Hill took a walk on campus in the middle of the night and discovered a vacant lot in the moonlight. 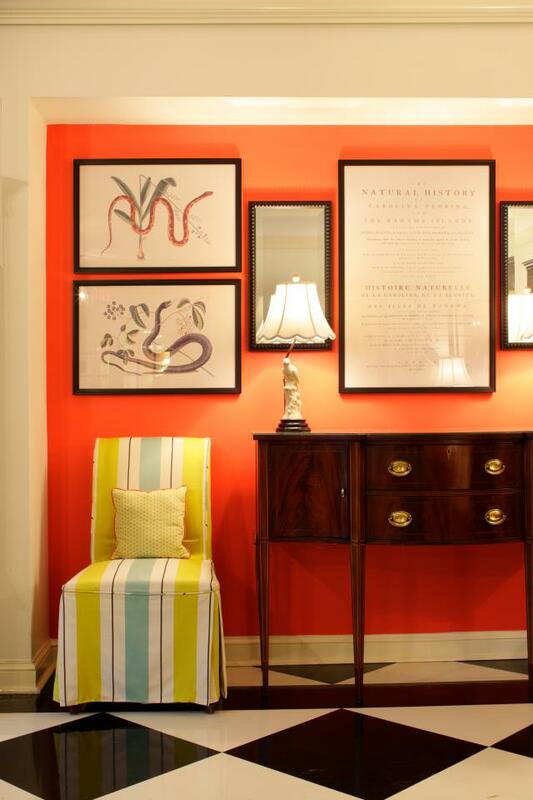 Right there, he envisioned a beautiful and cheerful inn for visitors and alumni to enjoy. Three years later, Hill opened The Carolina Inn with its antebellum beauty and welcomed guests for the first time. The Hill family generously donated The Carolina Inn to the University in 1935, with the stipulation that the profits, after expenses, were to support the North Carolina Collection in Wilson Library. 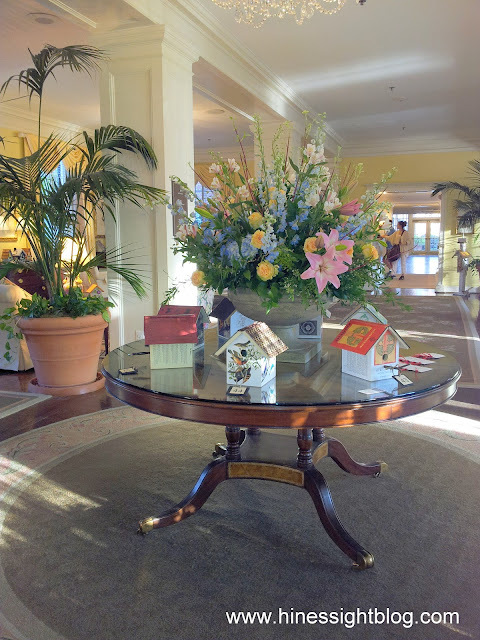 Today Destination Hotels and Resorts manages the inn for the university, but the inn remains true to its Carolina roots. 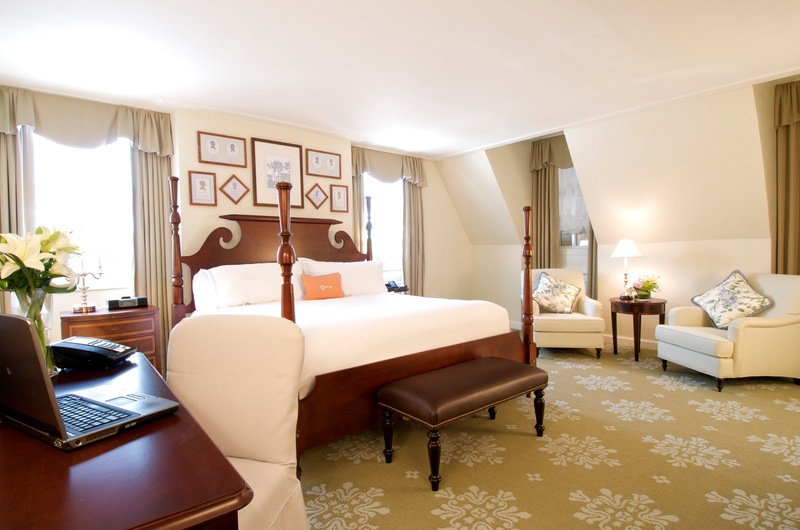 Guest rooms and hall corridors display notable alumni and faculty. It really is like a museum. This black and white hallway is stunning. When Will and I walked into the inn, we were immediately mesmerized with the inn’s birdhouse parade. 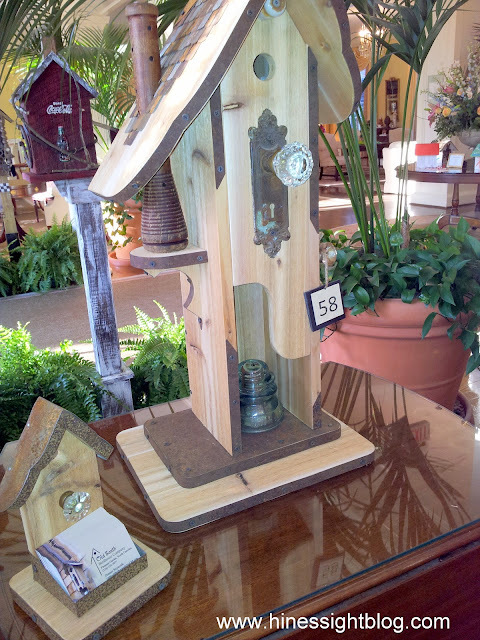 Over 100 unique birdhouses greet guests in the lobby as part of the inn’s 11th annual Celebration of Spring through April 8. These are some of my favorites. Some of them you cannot even imagine are birdhouses. 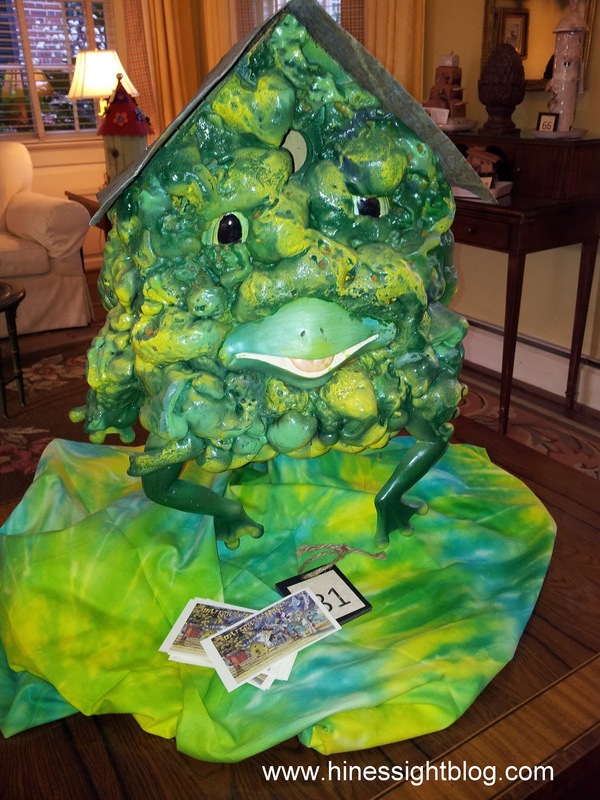 Through the annual birdhouse parade, the inn showcases the talents of local NC artists. 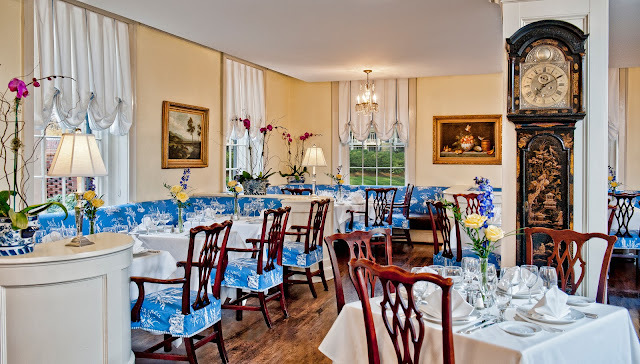 I’ve been to the inn several times for weddings, and it is an absolute favorite place of mine for afternoon tea, but until last week I never had dined in the award-winning, Carolina Crossroads restaurant. 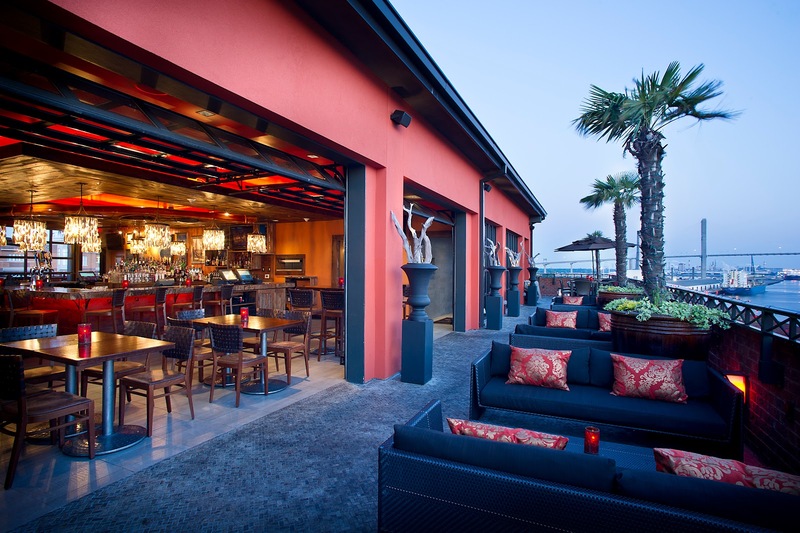 It is one of three restaurants in North Carolina with a Forbes Four-Star rating, and is also a AAA Four-Diamond rated restaurant. 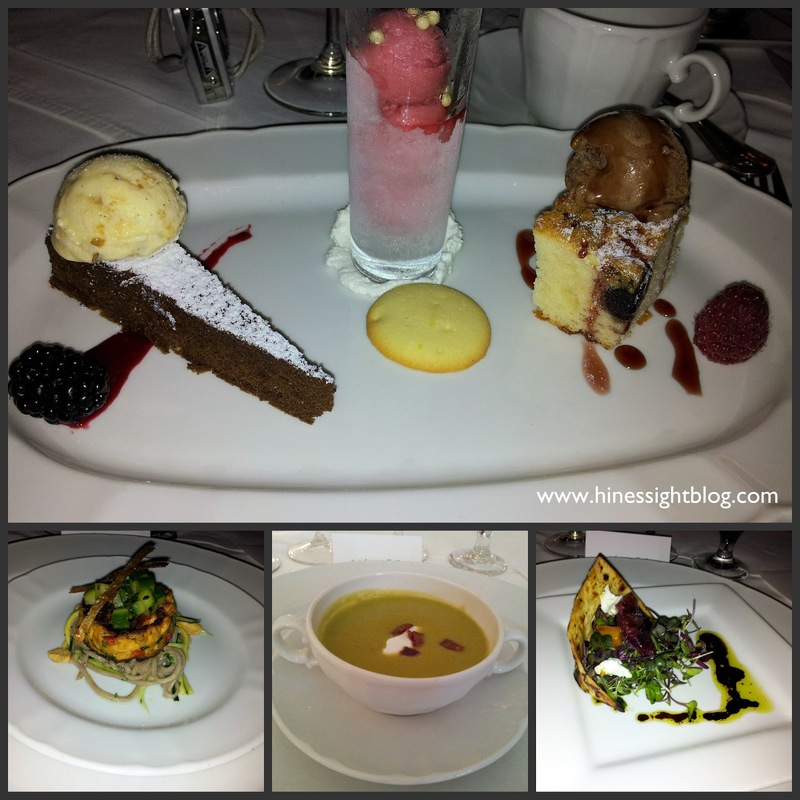 On this particular spring evening, we were guests of the inn and Executive Chef Jimmy Reale. We attended a special media dinner to preview Chef Reale’s new Spring Menu for the restaurant. Each season, he adds new items to the dinner menu in addition to the restaurant’s tried-and-true favorites like grilled sweet tea brined N.C. chicken, and oven-roasted N.C. catfish. The inn’s famous chicken pot pie and shrimp and grits are popular lunch entrees. Chef Reale told us that these menu items have been so popular in the 13 years that he’s been head of the culinary team at the inn that he can never replace them or there would be a riot. 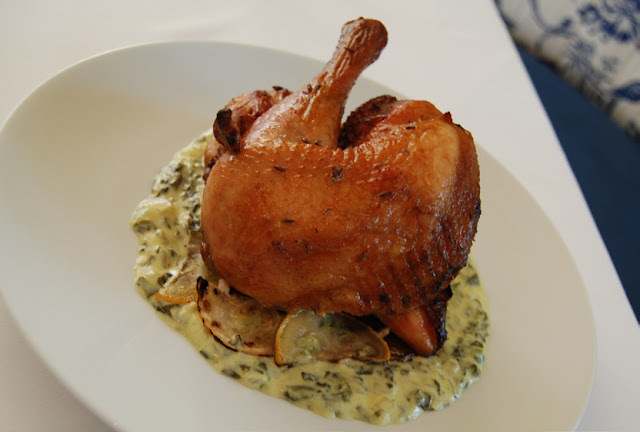 An inn favorite is sweet tea brined chicken. With that said, this talented New York-born chef still likes to change things up a bit each season, and he loves to incorporate food from his Italian-Lebanese family, but he rounds it out with a little Southern flair since this is the South, after all. We’ll also claim him as a Southerner because although he was born in New York, he spent his childhood in Fayetteville, North Carolina. We sampled nine courses, and they were amazing. By the ninth course, I didn’t think I could take another bite. My photos don’t do the entrees justice, but each one delighted the palate. Reale begins planning the next season’s menu the day after one season goes live. He plans his menu based on what is in abundance at each season’s farmer’s market and works very hard to strengthen the inn’s relationship with local farmers. Chef Jimmy Reale and me. His wife is also named Leigh. He has two children, and of course, loves Carolina basketball. I cannot tell you how impressed I was with Chef Reale’s culinary creations. I will definitely visit Carolina Crossroads again. Except next time, I want to walk upstairs to this lovely guestroom and start the next day with a delicious Sunday brunch. But that will be another story! 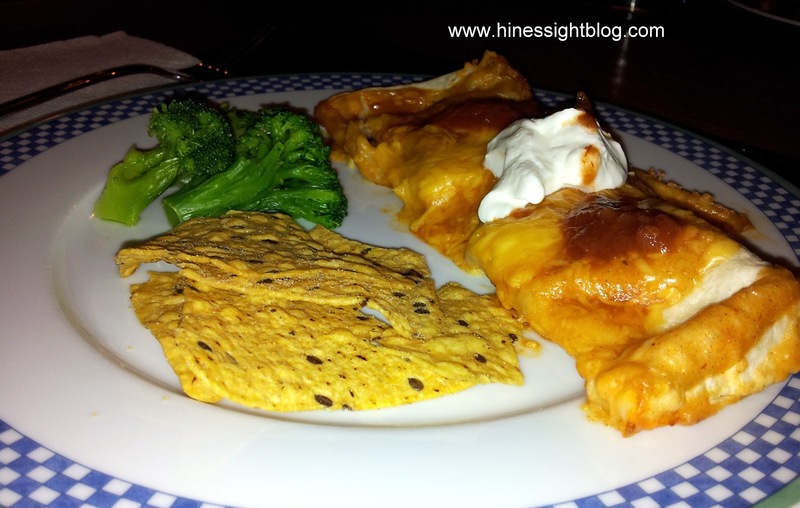 However, I do have a recipe surprise for you this Friday compliments of Chef Reale. Foodies will rejoice in the kitchen. Stay tuned! I’m at that stage in life in which I can’t log on to Facebook without seeing a status report about Walt Disney World. 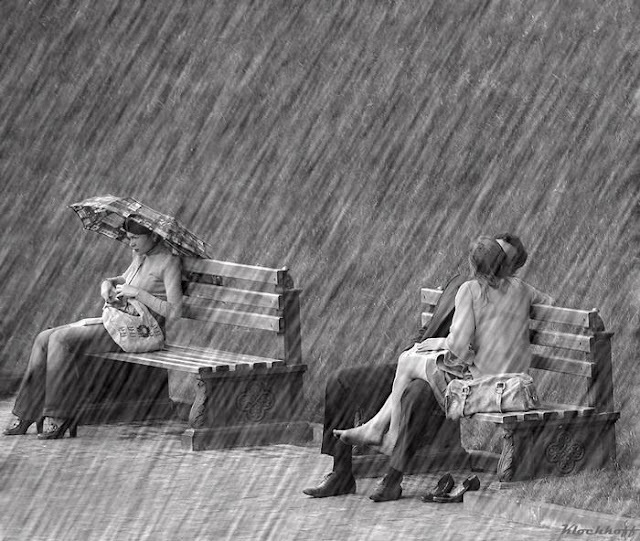 A friend is either going, is there right now, or is just getting back. If you are a parent with kids aged 2 to 10, you probably know at least one family who is making the trip this year. Think about it. Uh-huh! Thought so. Disney has changed so much through the years. My husband remembers his dad driving up to the Polynesian and getting a room on the spot in 1977. Can you believe it? They just drove up to it like it was a hotel on the interstate. That is unheard of now. Back then, things were simple. There were no dining plans, park hoppers, FastPass, and booking rooms and dining reservations a year in advance. Now, planning a trip to Disney is like getting a second job. There’s a lot to know. Mr. Cool was four when we took him to Disney. We left six-month old Baby Diva with family during the trip. In fact, I’ve taken a little time recently to help one of my good friends plan her first trip for her 4-year-old for this fall. As you probably guessed, I’m all about the accommodations and food. After that, my interest wanes, but I’m not going to leave her empty-handed. I wish I had known about this book when we took our first trip in 2010. I spent countless hours researching the parks, and this book breaks everything down for you in such an easy-to-read manner. The information in it is priceless. Author Lisa Battista specifically targets the book to parents, grandparents, and individuals who are traveling with children aged 2 to 5, but the book is so well planned and useful that I think it’s good for parents with elementary-aged kids, too. She even has a section that addresses the best itinerary for parents who have preschoolers and elementary-aged children. The book touches on prepping for the trip, lodging for families, transportation while on property, and entertaining small children while waiting for attractions. The real substance of the book and the most helpful, in my opinion, deals with attractions at the parks, character dining, and special “hidden activities” at the park for preschoolers. To me, this is the information that is so valuable as a parent planning a trip. Lisa does all the homework for you. It’s in such an easy format that you could be at Magic Kingdom, pop the book open, and the information you need is right there at your fingertips. For example, I had no idea that you could take a short, free ride in vintage cars at Magic Kingdom. That would have been fun. 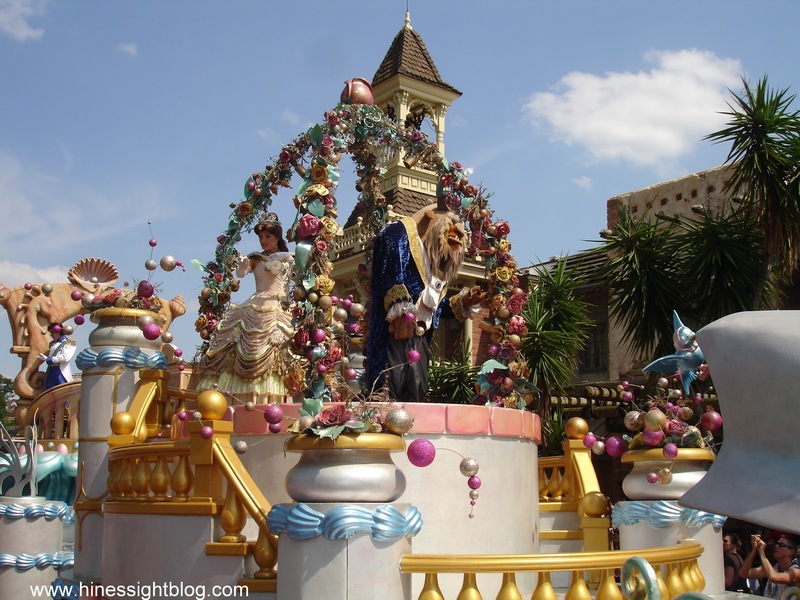 I also didn’t know about a talking trashcan in tomorrow land. My son also would have loved the formal hedge maze hidden away in England at Epcot. Well, now I know. 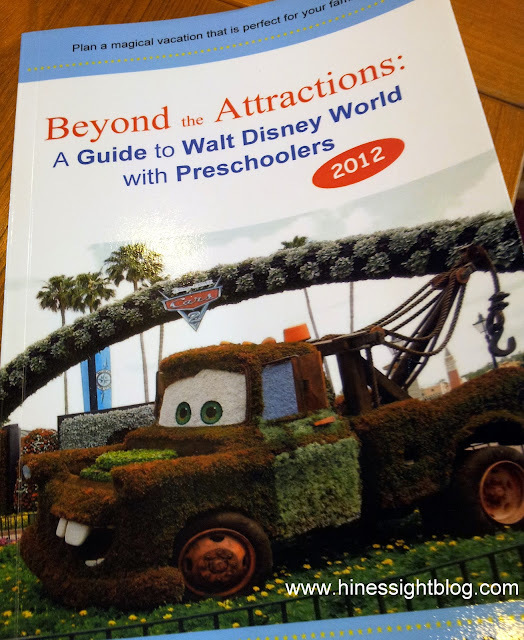 Disney is also conducting a lot of upgrades and renovations this year, and this book includes all of that information for 2012, plus it breaks down the attractions so you know what is best-suited for your child, based on age and height. In the book’s “Heed the Warnings” section, it shares attractions that could scare younger children. The book even has a section on parades and nighttime entertainment. Overall, I was impressed with the book’s section on dining. It really gets to heart of the dining plan. 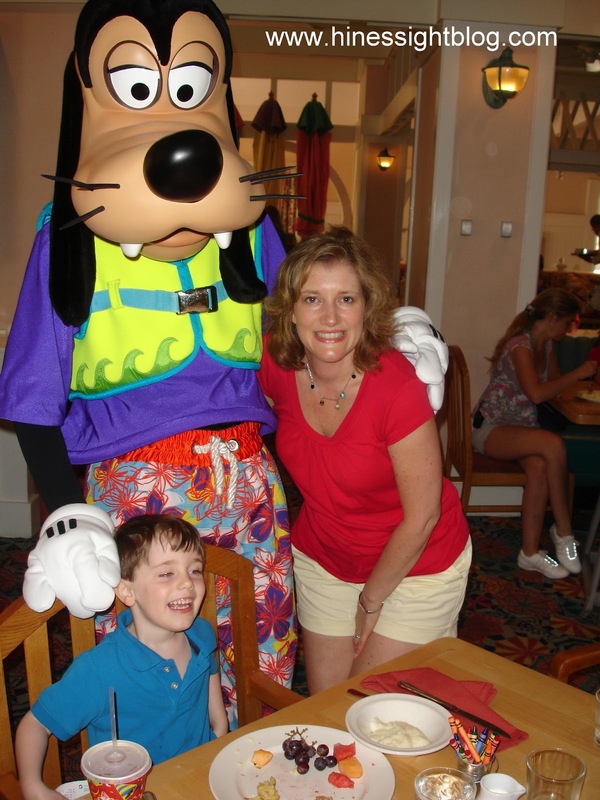 For a first-time traveler to Disney, I think the plan can be confusing, but this explains it well and hones in on restaurants that are best-suited for the young child with a focus on character dining. This guide does not go into signature dining, and it does not serve as a review for the restaurants or hotels. It’s for information purposes only, and only a handful of restaurants are actually listed in the book, along with some places for special treats and healthy snacks. Reading this book made me want to go to Disney again, and after reading this I will be so much better prepared in the parks for what to see and do. Your time is valuable. 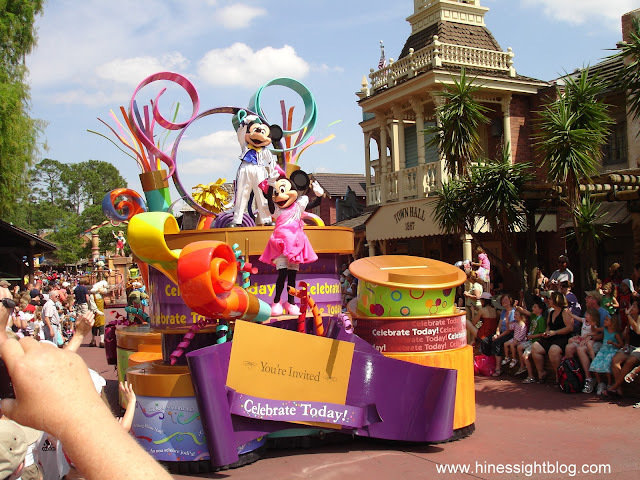 This straightforward guide will truly help your visit to Walt Disney World be magical. Yes, we got wet on our trip. The Guide Book has details to help you with rainy days, too. And for one lucky person, you can win a copy of the guide right here. A winner will be chosen at random via the rafflecopter system through April 4. You can enter either through Facebook or through your email, but you must enter your information in the box in order to be eligible because the computer picks the winner based on names entered through rafflecopter only and not through blog comments. All other entries are optional. Disclosure: I received a free copy of the book in order to write this review. As always, opinions are my own and were not influenced by the company. 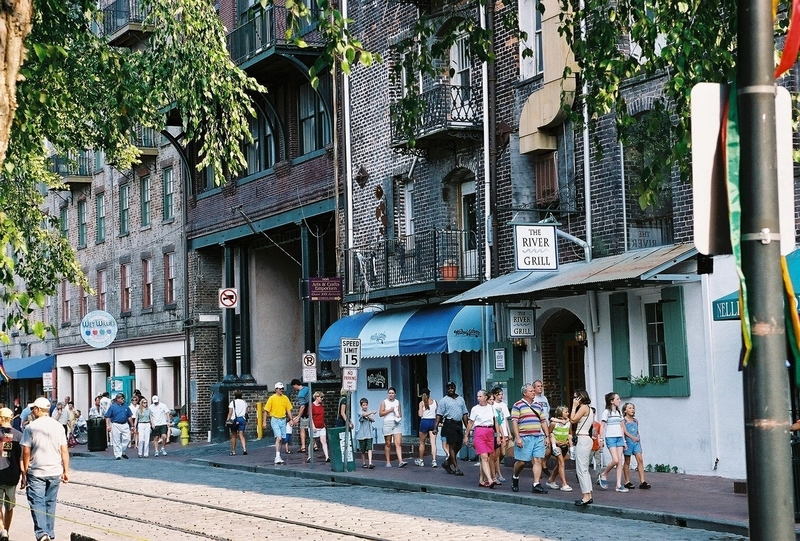 Savannah is a Southern city that has been on my list of places to visit for years. It’s taken me a lot longer to visit than I thought it would. This is also an interesting little fact. When I graduated from UNC-Chapel Hill, I received my first rejection letter from a Savannah TV station right after school. I didn’t get a reporting job there, and over twenty years later, I’m still waiting to visit. Spring is a lovely time to visit this historic city with lots of architectural style. It was established in 1733. It’s rich with history and beauty. The city is like a living garden with public spaces in full bloom. The arts thrive here, and Savannah showcases some of the best restaurants in the South. The city hosts 150 festivals each year, and in May it will host the Tall Ship Challenge. At least 15 tall ships will be on the riverfront May 3-7. 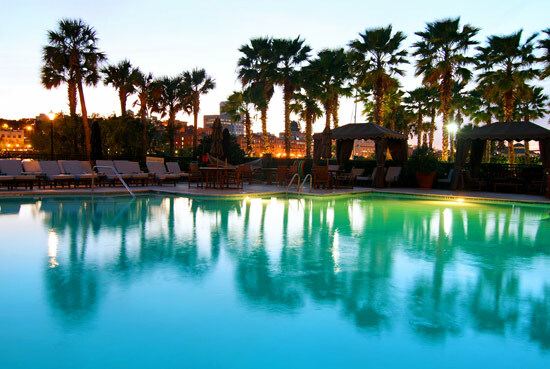 The temperature gets a little sultry in the summer, but that is when you can find some great rates in the city. So where would this hotel-loving blogger stay in Savannah? 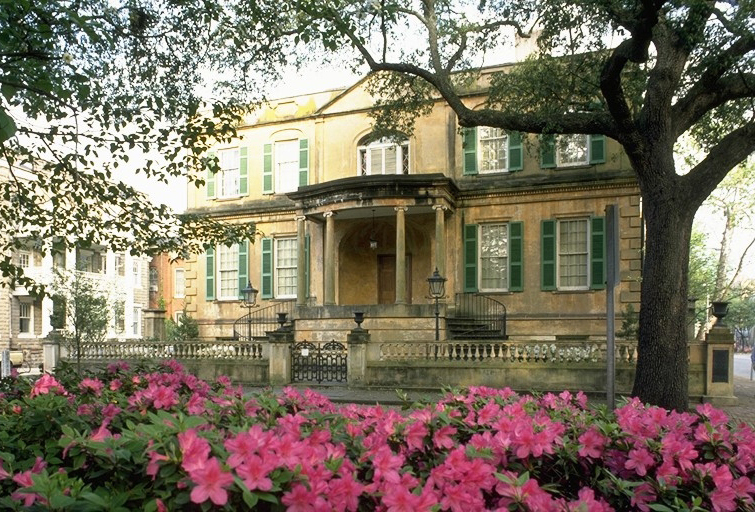 For a hotel lover, Savannah has some fantastic properties for all budgets. Believe it or not, I couldn’t narrow it down to one choice for this post, so I’m giving you my two top choices. Both hotels are family-friendly, but I would lean on one for a trip with my husband and the second property for when my kids are in tow. 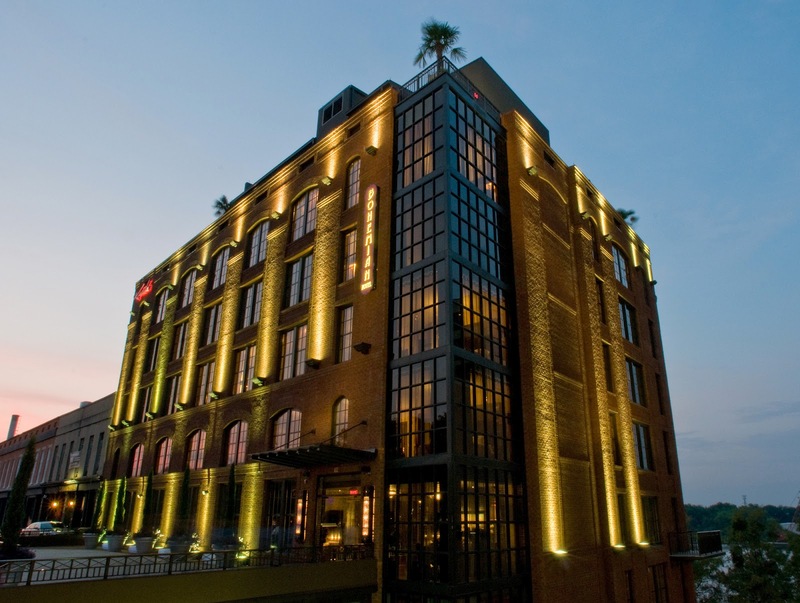 The boutique property, Bohemian Hotel Savannah Riverfront, looks to be a gem in Savannah’s lodging crown. It’s located on a cobblestone street on the Savannah riverfront. I could totally see my husband and I having a drink on this rooftop after a day of sightseeing. "Rocks on the Roof" is Savannah's newest hotspot. I think that table has my name on it. 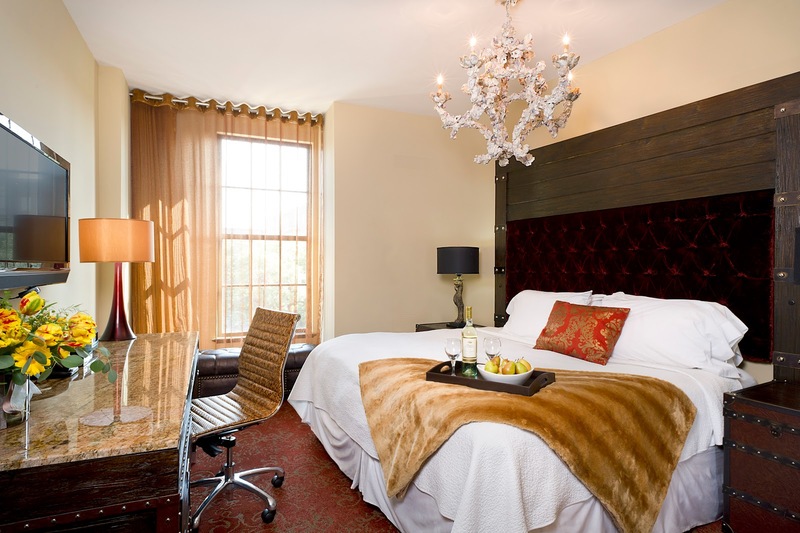 The inn has 75 guestrooms, a full-service restaurant, and all the amenities you find in a luxury hotel. It’s my choice for a couple getaway. The rooms have a posh feel about them. The reviews are fantastic for this hotel, and a lot of people have stayed at the hotel with their children, but I have another choice for families. 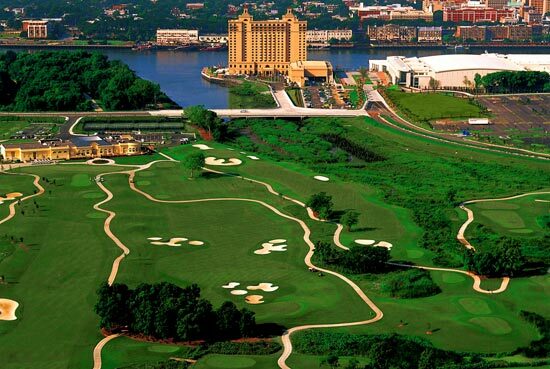 I think my children at their current ages would be better suited at the Westin Savannah Harbor Golf and Spa resort. For one thing, it has a gorgeous pool for the hot summer heat. It also has kid's club activities, and a spa for mom. No one wants to sightsee all day. I don’t. The hotel is on an island in the Savannah River. 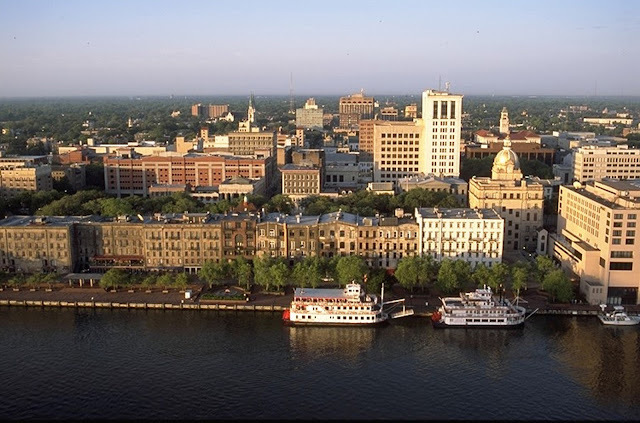 The hotel provides a complimentary water taxi to the historic district. If your kids are like mine, then the 90-second boat ride may be what they remember most. And of course, I always like a heavenly bed. Guestrooms have a classic feel. Savannah is on my list. I'm ready to go. Is it on yours now? When it comes to cooking, I always work hard to prepare a main course, but I don’t put a lot of thought into sides to round out a healthy, colorful meal unless company is coming. Oftentimes, I’m steaming broccoli and preparing a salad most nights for my own family. I started a “What’s on the Side?” board on Pinterest to inspire me to come up with some new ideas. I want simple, easy sides because I don’t have the time to make a main course then complicated sides with a lot of ingredients, too. Bok choy is a vegetable I see a lot in the grocery store, but I never really knew what to do with it unless a recipe called for its use. I never really thought about sauteeing it for a simple, easy side until I started looking for ideas. I was first introduced to this Chinese cabbage 20 years ago when I was working in television. I was reporting on an agriculture story featuring Southern tobacco farmers who were exploring new things to farm in southeastern North Carolina to replace the crop that was no longer golden. This crispy, green vegetable is low in calories and high in nutrients. When sautéed, it will add some pizzazz and variety to your menu. Sautee green onions and garlic in olive oil. Add bok choy. Drizzle with sesame oil, and season with salt and pepper. Cover, and let it cook for about three to four minutes. Uncover, and let it cook a minute or two longer. 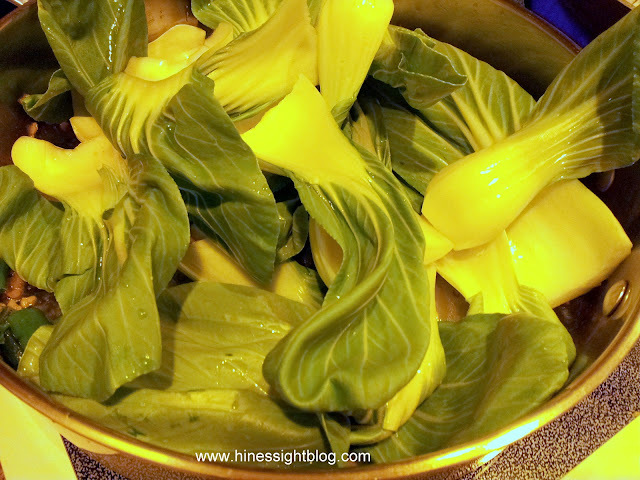 Do you cook with bok choy? It’s also great to snack on with hummus. I also think you could use the leafy vegetable as a substitute for green lettuce in recipes for lettuce wraps. Now that I've discovered bok choy, my sides don't have to be boring at all. We’ve done our little spring forward on the clocks, and soon the calendar will tell us it is officially Spring. But what does Mother Nature think? Seriously, I think she’s menopausal and a crazy lady who now thinks it’s summer. It was in the high 80s in Raleigh yesterday. Needless to say, we’ve had great weather all week. 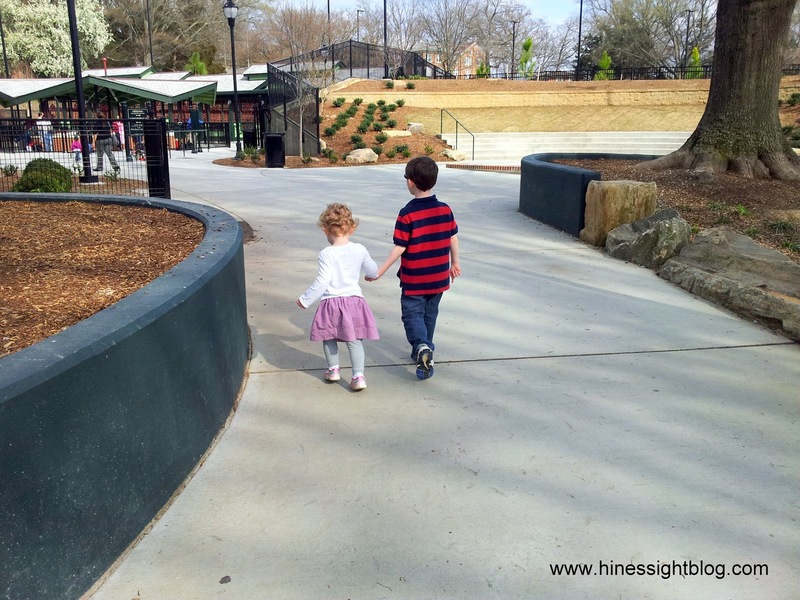 On a whim, I pulled our car into Pullen Park in Raleigh after school. 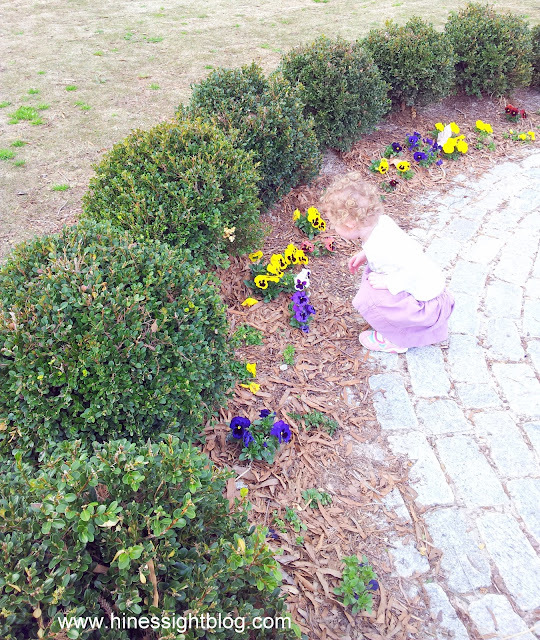 This historic park was established in 1887. It was closed all of last year for renovations, so it was my first time going since the reopening. It’s beautiful. The architecture gives it a Victorian feel. 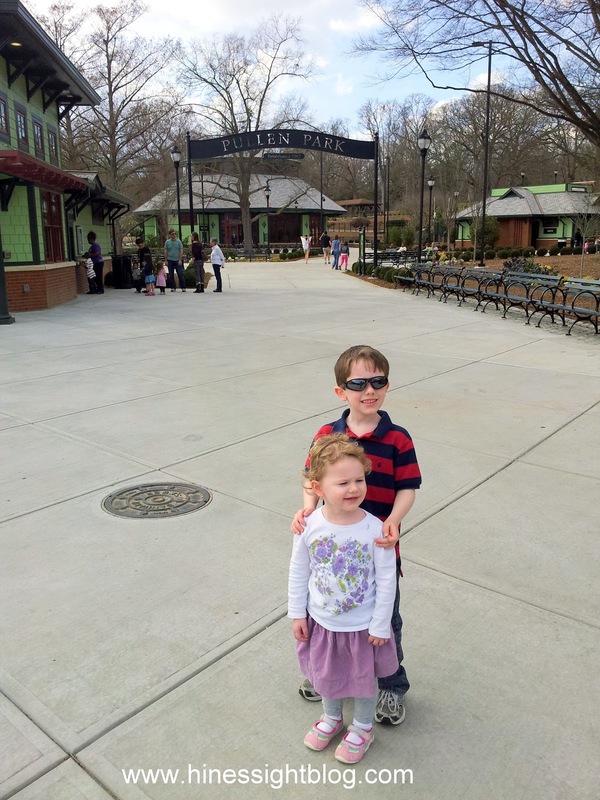 My mom used to go when she was a child, and she felt the place was magical since it had a train and carousel. Those amusements are still in place. I had to chuckle when my son asked me if she went in 1887. Um, no! 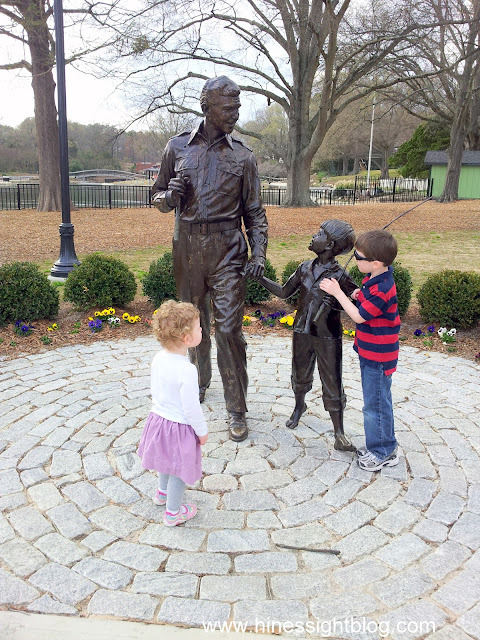 And the little ones have no idea who Andy Griffith (aka Sheriff Andy Taylor) and Opie are, either. TV Land pays tribute to the North Carolina-based series with a great statute. My kids kept saying, “They are frozen.” I am going to have to introduce them to Andy, Aunt Bee, Barney, and Opie one day because I cannot imagine living life not knowing who they are. It’s television history at its best. 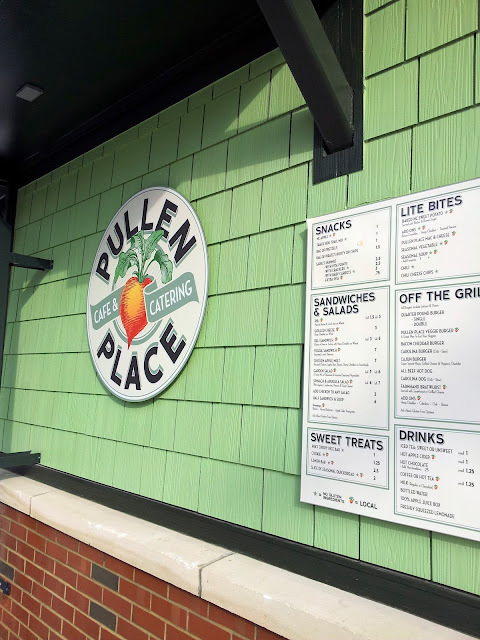 The park now has an upscale concession stand with a wide variety of menu items. 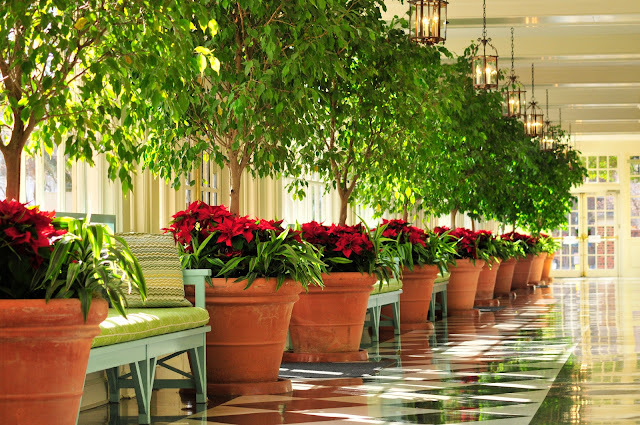 Pullen Place Café specializes in seasonal, fresh, and local ingredients. And get this: If you decide you want to play late in the day and eat dinner at home, they have a dinner-to-go menu that feeds a family of four. Now, that’s nice! I’m looking forward to having lunch here soon. Let’s just hope that the crazy, menopausal Mother Nature doesn’t give us a blast of winter into early spring. As I see my kids go off to play, I can't help, but hear the Andy Griffith theme song in my head. That was such a simple time in life. 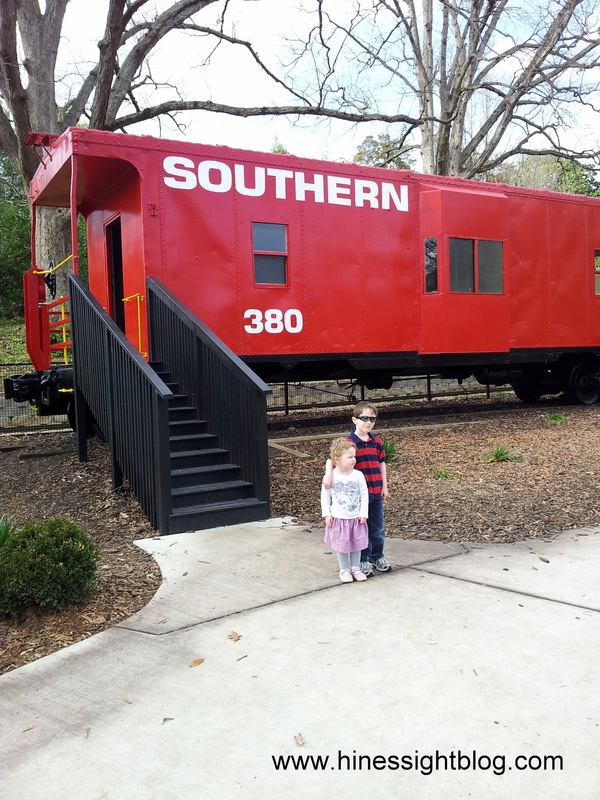 Pullen Park is simple, leisurely fun for the family. There are days that I wish I were that mom who bakes every snack that my child eats from scratch, using only the best whole ingredients. But, truthfully, that’s not who I am. Instead, I am a mom who reads food labels as I go down the grocery aisles. I rely on minimally processed foods to make my life easier in the kitchen. My goal, however, is to buy the most all-natural products possible. I avoid high-fructose corn syrup, artificial flavors, colors, and preservatives as much as I can. I’m lucky because I live in Raleigh, and grocery stores cater to moms like me here. I can find foods like that with little problem, but it’s not always kind to the grocery bill. Despite the price, I feel better at night knowing my kids avoided a lot of junk in their diet. Baby Diva is eating Wholesome Goodness Omega Apple Cinnamon Granola Bars. These hearty granola bars are made with blend of whole grain rolled oats, whole grain wheat flakes, crisp rice, brown sugar, pumpkin seeds, roasted sunflower seed kernels, with flax flax seed meal for an Omega boost. I am always looking for wholesome food at a good price. A new food company called Wholesome Goodness recently won me over with its products. Unfortunately, the company is just getting started, so the products are currently available only at Wal-Mart in a few select states, including North Carolina. The Raleigh-Durham market is one of the first areas to see these products on the shelves. I rarely shop at Wal-Mart, but I’m telling you right now that these products are going to make me walk through the doors of that bargain-priced super giant store sooner rather than later after sampling ten items out of the Wholesome Goodness product line. Mr. Cool and I could not get enough of the Whole Grain Sea Salt Chips. They have 19 grams of whole grains per serving. They are light, crisp, and a low-sodium snack. 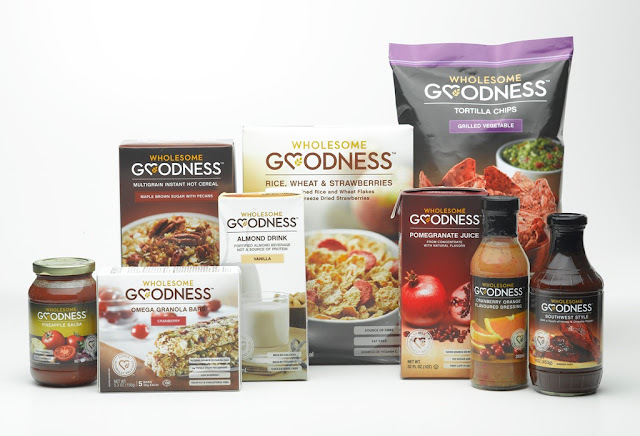 Wholesome Goodness is an all-natural, better-for-you food brand that emphasizes natural ingredients such as whole grains, fiber, and beneficial antioxidants while minimizing sugar, sodium, and fat. The price is right at $2.78 for a delicious, low-sodium, whole grain sea salt chip to $3.78 for a cereal made from a blend of five grains and packed with fiber. My kids ate these items like candy. I did, too. A Multi-grain and Flax Tortilla Chip with 20 grams of whole grains, and 200 mg of Omega-3 was pretty addictive, too. These are minimally processed foods I don’t mind giving to my kids. I commend the company because it is trying to keep costs down. Wholesome Goodness believes that nutritious foods are beneficial only if they are accessible and affordable. The prices are comparable to mainstream brands and significantly lower than other natural/organic product lines. Wholesome Goodness is currently in North Carolina, Virginia, Maryland, and West Virginia. It hopes to expand nationally soon. Wholesome Goodness has also set a high nutritional standard by banning the use of 126 ingredients including artificial additives, sweeteners, colorings, and preservatives. I’ve gone over the list, and for curiosity looked in my pantry. I was shocked to see some of the banned items on food in my pantry. Maybe I wasn’t buying as “healthy” as I thought. Many of the Wholesome Goodness products also meet gluten-free and Kosher dietary guidelines. 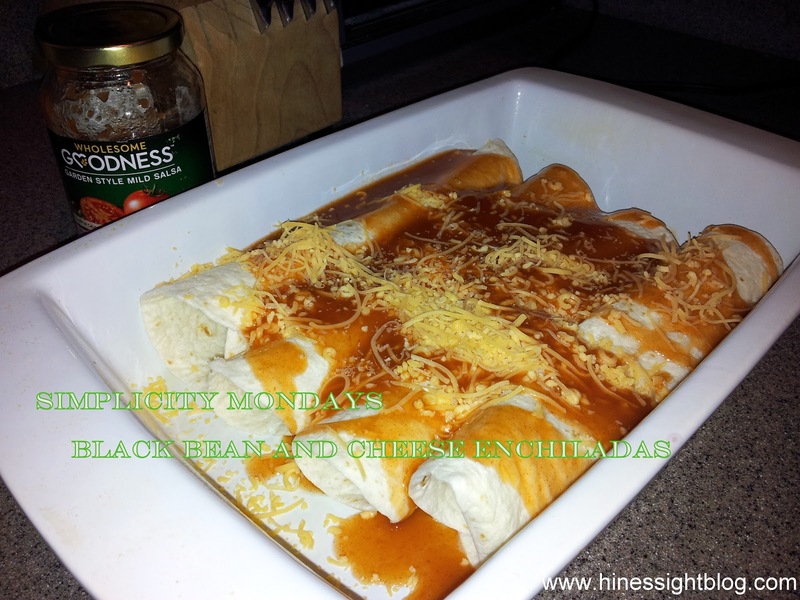 I used some of the products to cook simple meals like BBQ chicken, and black bean and cheese enchiladas, which I’ll share with you later in the month. Wholesome Goodness has also decided to give away the same packet it gave me so you can try its new foods. I think you will be a fan, too. You will not be disappointed, so sign up to win. It’s about a $30 value. We’re doing the giveaway through rafflecopter, so all you have to do is sign into the box either by using Facebook or by giving your name and email. It’s that easy. The required entry is to leave a blog comment, and the rest are optional extra entries. The giveaway will end at midnight on Monday, March 19, 2012. Why do flutes have holes? He loves this book, but every time we read it I think of my own questions. I just don’t have the answers. 1. Why are there hundreds of dollars of toys and electronics in my house, but yet my kids don’t know how to entertain themselves and leave me alone? 2. Why is it that kids only sneeze when they are buckled up in their car seats and you are driving down the highway? 3. Why is the tissue on the floorboard out of your reach when your children sneeze “big ones” while buckled up in their car seats? 4. Why is it when you schedule a date night with your husband and you want to look your best, it rains? 5. Why is it when you go on that same date night, the hostess in the restaurant wants to sit you next to a table with small children? 6. Why is it that when you are about to embark on a vacation out of town, your child becomes sick? 8. Why is it when you realize your child needs to wear dress shoes for an event, you realize the shoes are too small just as they are about to get dressed? 9. Why hasn’t someone invented a machine to fold and put away laundry? 10. Why do I feel that sometimes time stands still, but yet time flies, too? 11. Why is it that one minute my children drive me crazy, and the next minute I can’t get enough of them, all in the same hour? 12. Why is being a parent the best thing ever? Believe it or not, I actually know the answer to the last one. If you are a parent, I bet you do, too. Feel free to enlighten me if you have the answers to any of my questions, or add any more questions that you may have. 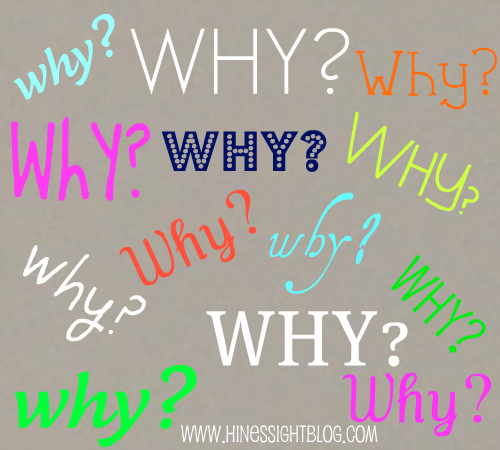 I’m sure as a parent you may be asking why, too, on occasion.